The ability to manage all information in a single central client/server database for operations and analytical reporting, managing certification and insurance, having audit capability and security was critical. 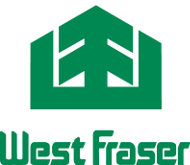 LIMS allows West Fraser to create sales contracts to third parties and with WeighWiz they can monitor the weight for each load that is sold. LIMS allows Idaho Forest Group to create sales contracts to third parties and with WeighWiz they can monitor the weight for each load that is sold. Come join us in San Antonio, Texas! There will be educational content with numerous sessions in multiple tracks covering a broad range of introductory and advanced topics. If you're interested in maximizing your investment in 3LOG software and learning from peers with many years of experience you want to be a part of this event! FRAM Renewable Fuels, LLC is implementing 3LOG’s LIMS, WeighWiz and LabWiz products at their 4 pellet mills in Baxley, Hazlehurst, Lumber City and Nahunta, Georgia.